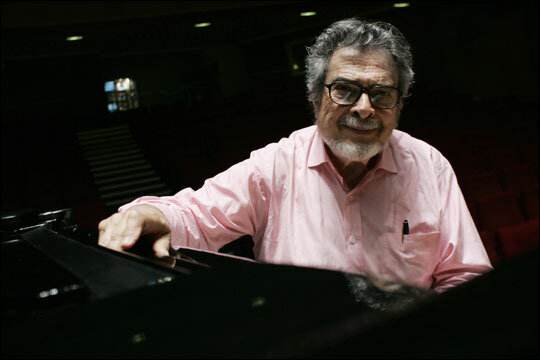 'Two Hands,' an Oscar Nominee with Heart Nathaniel Kahn's film Two Hands, a film about pianist Leon Fleisher's 30-year struggle to return to the concert stage, is nominated for an Academy Award for Best Documentary Short Subject. Pianist Leon Fleisher is the subject of the Oscar-nominated short documentary Two Hands. Click here to watch excerpts of all four Oscar nominees for Best Short Documentary. 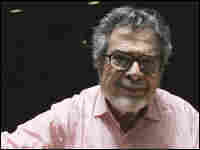 Leon Fleisher, a celebrated pianist, was forced from the concert stage when he lost the use of his right hand. His 30-year saga to resume his career is the subject of an Oscar-nominated short documentary by filmmaker Nathaniel Kahn, Two Hands. Kahn was nominated for an Academy Award in 2003 for the documentary My Architect, about searching for a father he never really knew. In Two Hands, the camera captures subtle, emotional moments as the pianist tries everything from hypnosis to tiger balm to heal himself. Through a series of interviews and concert pieces, Fleisher's injured hand becomes a central character. Kahn tells Liane Hansen about the movie and the challenges of documentary filmmaking. Some Oscar nominees don't get much attention on the red carpet. But the nominees for Best Short Documentary are a diverse, international group with subjects ranging from a Chinese orphan with AIDS to families who make their living scavenging through the Guatemala City garbage dump.